But what does that mean? We'll break down the distinctions between the well-known work-life balance and the current HR darling, work-life integration. What It Is: The long-standing ideal that came about alongside the reign of Blackberries (the first generation of smartphones). For the first time, employees could not only be easily reached by phone and email outside of the office, but they could also access lots of business work anytime, anywhere. Work-life balance became the resistance - it combated the idea that employees should always be work-ready outside the office. What It Looks Like: Look around. Most companies with an office workforce have adopted at least some work-life balance measures. Employees have set hours they're expected to work, and when they schedule time off, they actually take it - vacations are "off the grid" - no checking emails, no work at all. When life comes up, they communicate the need for augmented hours (let the team know when you have to get your car in for an oil change) and when they're out of the office, emails and business can wait until the next day. If you need to work from home sometimes, it can be arranged. Who It's Good For: It's popular among office-based workers who like a regular schedule and don't like the idea of being reminded about work when they're out of the office. What It Is: Work-life integration is the growing trend that eliminates balance and instead focuses on convenience. As technology continues to imbed itself in our lives at work and at home, answering an email from bed or taking a conference call while on vacation doesn't seem so invasive. What It Looks Like: Increasingly, companies that have culture of "never not working" also have a policy of flexible work times and locations. Sounds odd, right? But the expectation is that responsible employees should be able to do both, without on infringing too much on the other. This might look like two-week-long vacations with a couple hours of work each day, or even working morning hours before taking off to hustle kids around and mow the lawn while keeping an eye on their phone, then finish up the work day at night. Who It's Good For: This works great for highly engaged employees who answer to clients or are depended upon by lots of co-workers. They feel like their job entails always being available (or maybe that's the company culture), and they love their job, so it works. And For Employees Not Sitting at a Desk or on the Phone? Obviously, both work-life balance and work-life integration models are geared toward a certain type of workforce. If your employees make their living primarily on a computer, there's more use for both. If your employees are on job sites or in retail spaces, doing hands-on work, these models are extremely limited in practice. So, what can you do to provide increased flexibility - and retain more skilled workers - for this type of team? Give break times on the job for personal tech time, so employees can deal with things like making appointments, checking in with childcare or even just surfing their social media. Let employees work together to self-schedule. Increase autonomy for shift-changing among team members. Provide a competitive amount of paid time off, or to really bring in top candidates, go above and beyond. According to the Bureau of Labor Statistics, 76 percent of private industry workers receive 10 days of paid vacation after a year of service, on average. Trust your hires; when you get the right people on the team, you should be able to trust them to take their job seriously and put in the work while maintaining life beyond the job. Encourage the top of the organization to lead by example. When managers show they're passionate not just at work, but also in life beyond the daily grind, it empowers your employees to follow suit. Work-life balance, integration and even on-site personal considerations will play an increasing role in employee satisfaction. 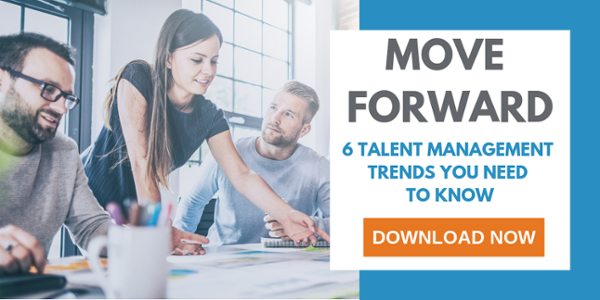 Make sure your company culture is positioned to make life easier for employees, and cross that employee retention goal off your list of to-dos.